hey Idaho Bully Nation! 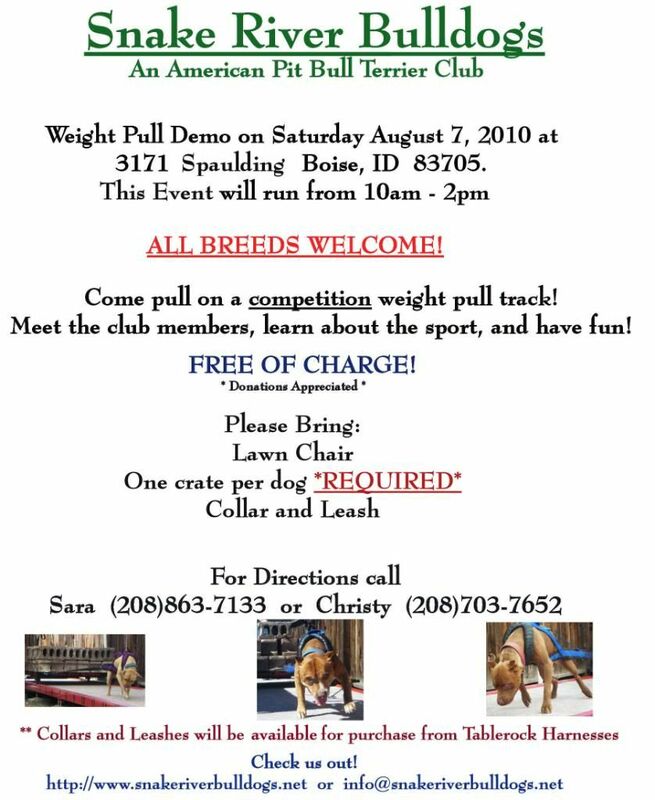 Come on out and see if your bully can pull! We'll be doing it this saturday in Boise. Check out the flier for all the information, any questions feel free to post them here. This is TOMORROW! I will have Bomber out!